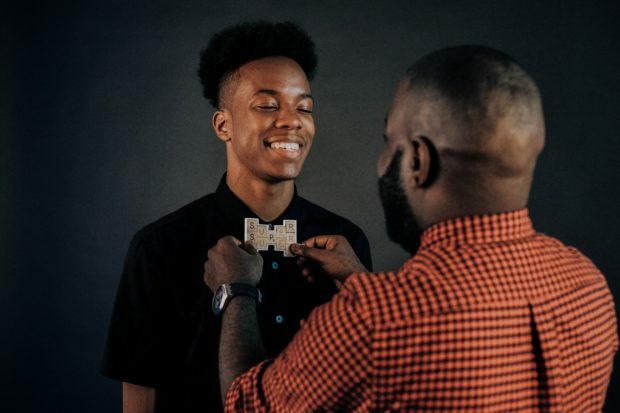 For Father’s Day, one black-owned company is taking to social media to celebrate black fathers. 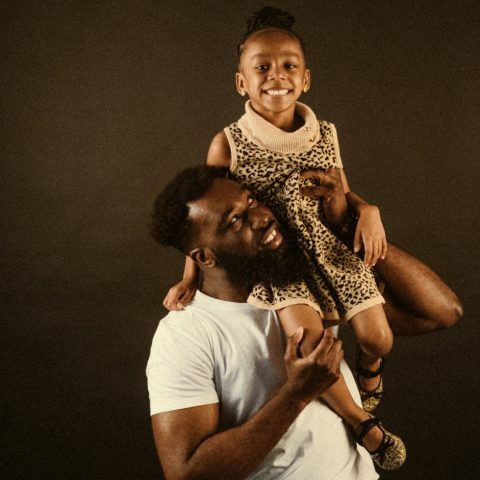 Luxury men’s grooming company Bold Beardsmen, which sells balms, oils, and tools for beards, has rolled out a #BoldBlackDads campaign filled with positive—and touching—images of black fatherhood. The #BoldBlackDads campaign was created to shine a light on African American fathers and reaffirm their importance as caretakers, teachers, and protectors in black families. Through this campaign, we stand to not only educate our audience on our products, but we have the great responsibility of reinventing the image of one of the most influential, special groups in America: our black fathers. Black fathers are often stereotyped as absent, uninvolved, unconcerned, and hands-off when raising their children. With this campaign, we reshape that through positive imagery of the enrichment they add to the African American community through role modeling, mentorship, and teaching. How did Bold Beardsmen come up with the idea for the campaign? Bold Beardsmen as a brand largely caters and appeals to African American men. Our products work well on all types of beards but were born as a solution for the underrepresented men in the beard community (i.e., the black man). 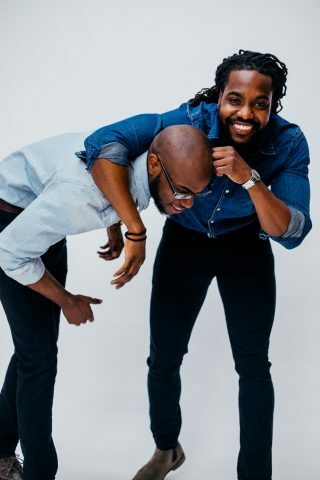 Outside of our products, a part of our job here at Bold Beardsmen involves creating a narrative that depicts black men in their authentic form, inclusive of their one-of-a-kind style, outspoken nature, daring attitude, and striking confidence. 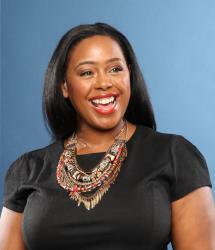 The idea for this campaign is the natural progression of what continues to remain important to us as a brand. We have the privilege to be the voice of the risk-takers, the romantics, the hard workers, the unsung heroes, the grinders, and the family men. Every dad has that one distinct “super hero” quality that makes them bold. Whether it’s his heart, his integrity, his strength, or just his wisdom, all fathers have an innate ability to be bold. Bold is our standard. It is how we benchmark the way a man carries his outward appearance, it’s his confidence and belief in his abilities, it’s his desire to pursue life on his own terms. For Father’s Day, being bold represents a father’s pride in taking care of his family and his instinctive nature to do what is necessary to give them a better life. What makes a dad bold is his joy in being the rock in his home, a protector to his family, and role model through his lifestyle. 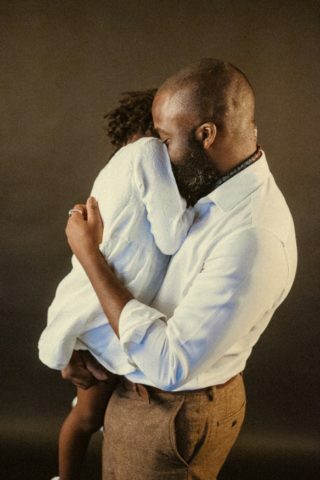 Why is it important to promote images of black dads? We are constantly shaping Bold Beardsmen to reflect the men that we cater to daily with our products. That includes using our platform responsibly to act as advocates, allies, and when necessary, leaders and organizers. 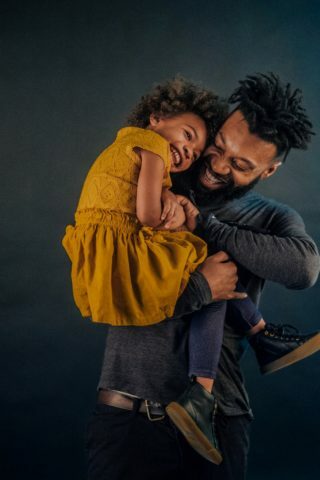 We are aware of the stereotypes that attempt to cast a shadow over the important figures in our culture and we find it necessary to share positive and beautiful images of #BoldBlackDads that dispel these typecasts. The current social climate calls for more brands to be culturally aware and creative in how they use marketing and social media to spread messages that resonate deeply with their brand values and those who are loyal customers and supporters. What message are you hoping the campaign sends? Though this campaign will outwardly help strengthen the image of black fathers, the message is intended as an internal nod to encourage and salute those who get up every day and father their sons and daughters. Our message is simple: We see you. If our campaign brings a family closer together, makes a father cherish his kids a bit harder, or sparks a separated family to reunite, it would have been successful in our eyes. We know it is a life-long commitment and the unique challenges of the world make it seem daunting at times, but we stand behind and honor the black fathers across all communities. See more of the campaign on the Bold Beardsmen Facebook, Twitter, and Instagram pages.